Stapleton Moms: Today is Chipotle Gives Back Day - support the Dumb Friends League with your purchase! 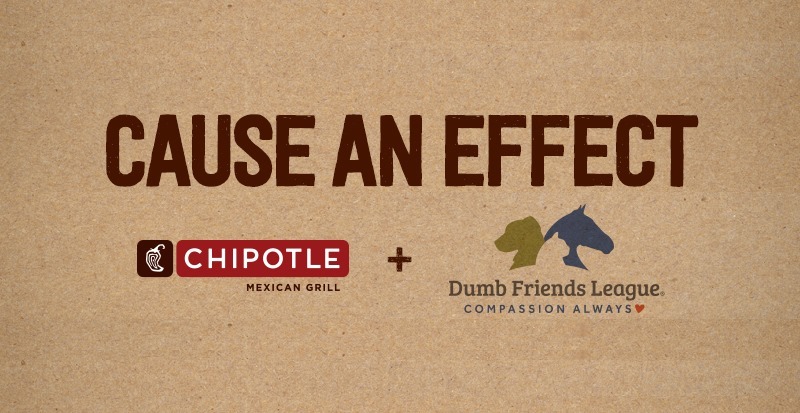 Today is Chipotle Gives Back Day - support the Dumb Friends League with your purchase! Today is Chipotle Gives Back Day! Chipotle is donating 50% of the proceeds of your purchase to the Dumb Friends League if you simply mention Dumb Friends League when ordering your meal between 11:00 a.m. and 10:00 p.m.
All of the Chipotle locations in the Denver metro area are participating (55+ locations) - click here for a map. What a delicious way to make a difference!